The Federal Environment Ministry supports exchange of experience between Europe’s coal regions. The Ministry’s European Climate Initiative (EUKI) funds projects that develop networks on socially just transition strategies. This includes a study on Silesia presented by WWF Poland at the UN Climate Change Conference in Katowice. Federal Environment Minister Svenja Schulze commented: “Ecological and social issues are closely linked. That is why just transition is so important for international climate policy. Our objective is to explain not only how we want to phase out fossil energy sources, but also what will take their place. In Europe there are around 40 coal regions, and many of them are facing similar challenges and questions: Which new, future-proof climate jobs suit the expertise of these regions? How can social hardship be prevented? And how can national governments or the EU help? To address these questions, we are supporting exchange between these regions. Our goal is to achieve socially just transition strategies which make the regions viable for the future and help mitigate climate change. Since 2017, a WWF project with funding of 660,000 euros has been organising a dialogue between the coal regions in Bulgaria, Poland and Greece with the EU Commission and Germany. Participants in these talks include representatives of local authorities, unions and non-governmental organisations. To date, the project has comprised workshops, talks with the European Commission, visits to the Ruhr district and Western Macedonia and the launch of a Mayors’ Forum for affected coal regions. The second meeting of the Mayors’ Forum is due to take place in spring 2019, hosted by the Mayor of Weißwasser, Lusatia. 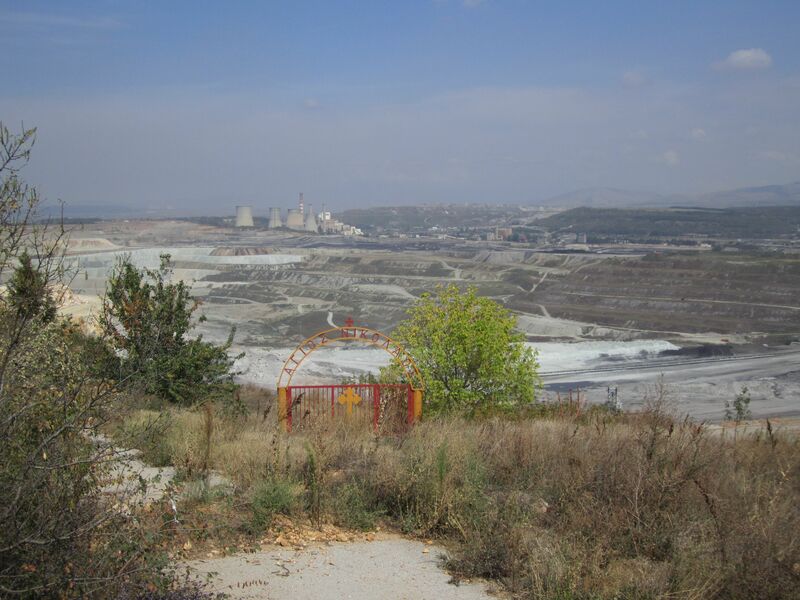 The retired Ptolemais lignite plant and the Ptolemais open cast mine in Western Macedonia. Moreover, commissioned by WWF Poland and working closely with the Silesian Marshal’s Office for Regional Development, the WiseEuropa Institute drew up a transition strategy for the coal region Silesia. The strategy was presented at the UN Climate Change Conference. The study makes recommendations on how Silesia can actively bring about a socially just structural transition. The authors recommend that this be additionally supported with EU funds.